The Organizing committee is delighted to welcome you to Bled for the 18th International Conference on (Q)SAR in Environmental and Health Sciences (QSAR 2018). Since 1983 these meetings have been recognized as important international events in the field of Environmental and Health Sciences, bringing together people involved in the development and applications of (Q)SARs to explain the behaviour of chemicals and their impact on the environment and living organisms. The aim of this forum is to contribute to common understanding and to give attractive solutions for explaining the influence of chemical structure on various physical, chemical, or biological properties in relation to environment and health endpoints, as well as to understand the biomolecular aspects of processes in the environment and living organisms. In the Environmental and Health Sciences the (Q)SAR modelling has grown in the range of applications. Starting in the academia it has become an important field in industrial research for supporting the legislative decisions for chemical safety. In recent years, multi-task machine learning has been getting attention for large scale QSAR modelling. The interdisciplinary nature of (Q)SARs requires addressing from various viewpoints, which we hope will be captured in the program of the conference. With valuable contributions of all participants we are convinced that this conference will be an opportunity for merging and exchanging ideas and experiences; besides fruitful discussions there will be also an opportunity to admire beautiful natural environment, which we want to preserve and is also one of the pivotal goals of (Q)SARs applied in today’s modern society. The students are encouraged to participate with oral presentations or posters! The best poster and best oral presentation will be awarded following the tradition (Taylor & Francis award). The winner in each category will have his/her registration fees refunded. It is only possible to compete for only one poster or one talk. It is not possible to compete in each category. The students who compete must stay till the end of the meeting. Students must register for the competition before the meeting by sending an email to katja.venko@ki.si. The competitors are encouraged to submit a manuscript for the conference issue of the »SAR and QSAR in Environmental Research« (Taylor & Francis). 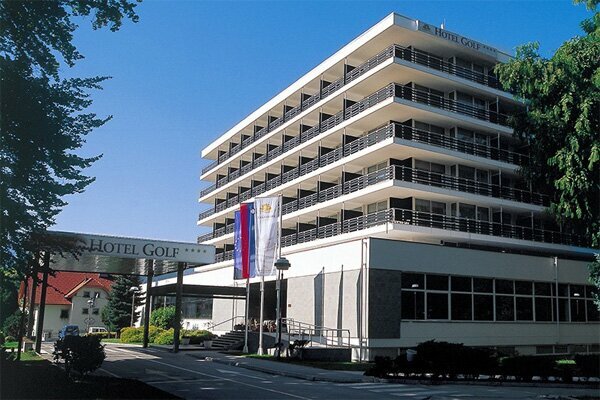 The meeting will be held in Bled, Slovenia, Rikli balance hotel (ex Hotel Golf)****, June 11-15, 2018. The conference hall suits for 120-140 participants, there are extra rooms for posters, exibitors and coffee breaks.